Every footballer reaches a time when they must make the difficult decision to hang up their boots and retire. Some choose to go out on top, leaving memories only of their greatness, whilst others struggle on, either being phased out or searching for one final payday. In rarer cases, players are left with no option but to quit, such as an irreversible injury or, as is the case of Turkish striker Tanju Çolak, prison. Tanju is a player barely known outside of his homeland. A prolific striker throughout the 1980s, he was a classic goal poacher known for his anticipation of chances alongside an impressive leap and aerial ability. Born in the coastal Black Sea city of Samsun in 1963, he joined lower league Samsun Yolspor as a 10-year-old, and it wasn’t long before his clear ability landed him a place at the city’s biggest club Samsunspor in 1981. 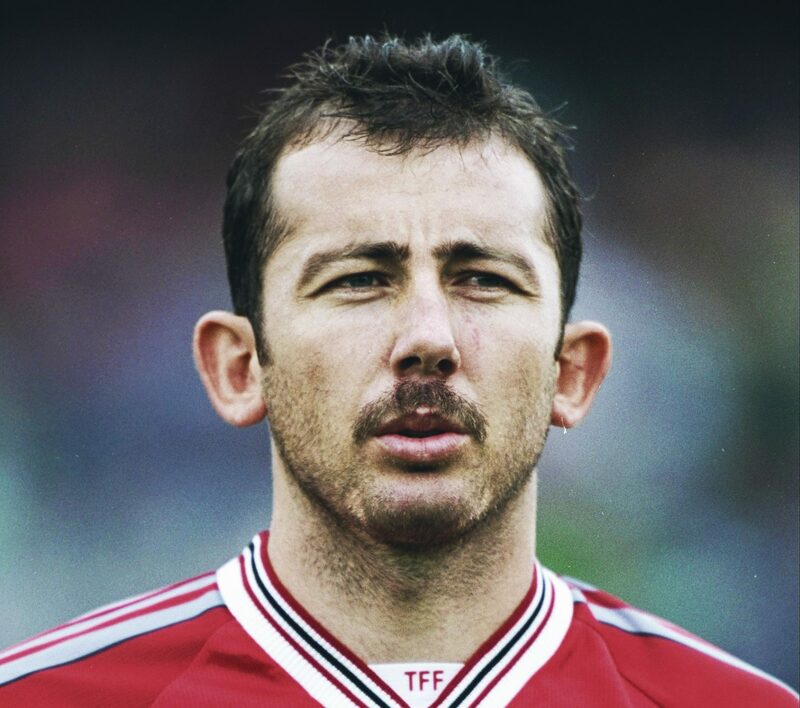 It took a while for Tanju’s goals to reap rewards, and despite scoring 16 times during his first full season Samsunspor suffered relegation in 1983. Sitting as top scorer the following campaign, it wasn’t enough for promotion as the club finished in third, six points behind champions Eskişehirspor. It was largely owing to the striker’s influence that the club won the league the following season, with Tanju registering more goals than appearances as Samsunspor won the 2. Lig title. The first season back in 1. Lig was to prove remarkable, with Samsunspor finishing in a club record high of third as Tanju ended as the top scorer. As if to prove this was no fluke, he repeated the feat the following season with 25 strikes as Samsunspor upset the established order to finish third once again. 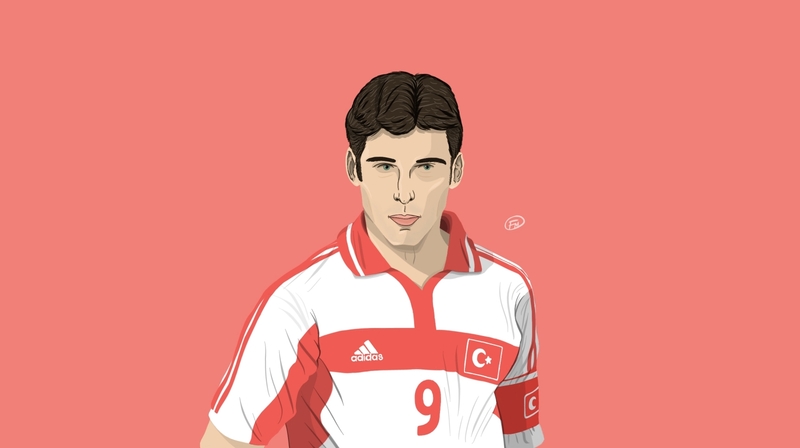 Such glaring influence didn’t go unnoticed by the top clubs of Turkey, and during the summer of 1987 Tanju was snapped up by reigning champions Galatasaray, where he was to become known as ‘The King’. Scoring twice in only his second league match in 3-1 win over Sakaryaspor – the second of which was a spectacular bicycle kick – Tanju went on to score an unmatched 39 league goals that season. Eight more braces and a ratio of more than a goal per game resulted in him scooping the European Golden Shoe, the only time a Turk has ever won this award, whilst this was the fifth consecutive season in which he’d finished top scorer. On a team level, Tanju’s goals were crucial in lifting Galatasaray 12 points clear of Beşiktaş for what was to prove his only ever league title. The following two seasons were unsatisfactory domestically for Gala, with finishes down in third and fourth. There was, however, a run to the semi-finals of the European Cup in 1989, with Tanju key in getting Galatasaray this far. The furthest a Turkish club has ever gone in Europe’s premier competition, Tanju scored a hat-trick in the second round to overturn a 3-0 first leg deficit against Swiss outfit Neuchâtel Xamax, whilst also netting in the 2-1 aggregate win over Monaco in the quarter-final. Unfortunately, Romania’s Steaua Bucharest were to prove too strong in the semis, with an unfortunate 5-1 loss over the two legs. A form of reprieve came in 1990/91 when Tanju yet again recorded more goals than appearances, with 31 strikes in 29 games putting Galatasaray back up to second in the 1. Lig. It was unfortunate that this coincided with Gordon Milne’s great Beşiktaş side, meaning in terms of club honours Tanju never matched the heights of fellow Arslan goalscoring heroes Hakan Şükür and Metin Oktay. He also failed to have any real impact on the international stage during his career, with a fairly unspectacular nine goals in 31 caps. Tanju also aroused concern in manager Sepp Piontek for his insistence on bringing a gun to training camps, with the striker claiming he needed something to protect himself from the mafia. How defenders facing the man dubbed Bay Gol (Mr Goal) wished they had such assistance in the impossible task of stopping Tanju. During 1990/91 he recorded braces in both derbies with Fenerbahçe, whilst scoring arguably his best career goal against Sarıyerspor. With a cross flying in from the left-hand side, Tanju opened up his body to flick the ball into the air with his chest before connecting with a bicycle kick as it came back down. There was also a hat-trick against Trabzonspor, five goals in a 6-2 mauling of Aydınspor, and another strike in the victorious 3-1 Türkiye Kupası final against Ankaragücü. Unbeknownst at the time, this was to be Tanju’s last contribution for Gala, with a breakdown in relationship coming in the summer of 1991. In light of a wage reduction and transfer interest from Marseille, Tanju arranged a meeting with the board to discuss the situation. Owing to being awarded the captaincy he wasn’t particularly keen on the move to France, however, took issue with the 1 billion TL reduction in his wages. This put him on a similar pay level with what he perceived to be less important, younger players such as Bülent Korkmaz, and in his eyes, he was not being valued sufficiently. Somehow Fenerbahçe learned of this disagreement, offering the player 4.5 billion TL to cross the divide to the Şükrü Saracoğlu. A self-confessed Galatasaray fan, Tanju did all he could to remain at the Ali Sami Yen, phoning manager Mustafa Denizli to discuss the subject at length. Unfortunately, Denizli stated how he was powerless to the whole situation, after which Tanju made it clear he wanted to leave for Fener. A change of colours had minimal impact on his scoring proficiency, however, with Tanju registering five goals in his first six games. Moments of note were braces in both contests against Gençlerbirliği and a hat-trick in the high-scoring 8-4 victory over Gaziantepspor. Regardless Tanju was still unable to help Fenerbahçe to the title as they finished five points behind Beşiktaş. Not that the fans were too disheartened though, owing to another hat-trick he managed to score. Biting the hand which once fed him, Tanju gave his wage adversary Bülent a torrid afternoon in a 5-2 victory over Galatasaray that has gone down as the stuff of legend. It was not just on the pitch however where Tanju was committing treachery, with details emerging around this time that the married man was having an affair with celebrity actress Hülya Avşar. Despite the fact his private life becoming increasingly public, the 1992/93 season started off in normal fashion on the pitch. A goal and assist against Bakirköyspor was followed up by another strike at Gaziantepspor, but a red card late on in the 2-1 win over Ankaragücü side-lined Tanju for several matches. A high point came in December 1992, when he hit six in a 7-1 thumping of Karşıyaka, although that same month came another scandal that would spell the downfall of his career. Tanju stood accused of knowingly buying a stolen Mercedes 550CL that had been smuggled from Germany without documentation, prior to selling the car on. In response Fenerbahçe chairman Aziz Yildirim came out publicly stating how he would do anything to defend his star man, going so far as to criticise the prosecuting attorney for being corrupt. Regardless, he was found guilty and sentenced to over nine years in prison. Appealing the decision, the delicacies of this case ended his time at Fenerbahçe, with Tanju moving to İstanbulspor. He spent a solitary season at the wealthy 2. Lig club before beginning his time in jail in August 1994. Two days before he was due to be incarcerated he fled to Macedonia, but was promptly caught after Turkey issued an extradition order. On his return he was arrested, amidst a sea of tears. Football was arguably of little importance at this time, although the TFF ensured he would not be scoring any more goals by revoked his playing licence. After a retrial, his sentence was reduced to four years and eight months, with it being ruled he would eligible for parole after 22 months pending good behaviour. Owing to his co-operation in the smuggling case, however, Tanju was granted clemency and released from prison on 27 February 1995. Over three years later he made one final appearance in a testimonial organised by Fenerbahçe, the full proceeds of which Tanju donated to victims of the Adana-Ceyhan earthquake. Following this he served as manager of Siirtspor from 1998 to 2000, whilst also attempting to run for government several times. Starting out in 2009 with the far-right MHP, old habits appeared to die hard as he switched allegiances again, this time to the AKP of President Erdoğan. Running unsuccessfully in both 2011 and 2013, Tanju was up for election again – and lost – in June in İzmir, whilst he has also previously stated his dream is to one day serve as mayor of his hometown Samsun. The motives for this desire is unclear, although one can certainly not attribute it to boredom. 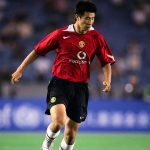 In retirement he has continued to run into problems with the law, being suspected of involvement in the notorious 2011 match-fixing scandal, and also arrested last June. This time the allegations were running a gang in Ankara, centring around two accounts of complaining business owners. They claim Tanju bought goods off them before refusing to pay and threatening violence, using his relationship with İsmail Altınok- a notorious career criminal- to intimidate and kidnap them. He was cleared of this incident through forensics, although police did seize nine weapons from a property connected to Tanju. There was also another arrest in October 2017, with claims his ties to the gangs of Ankara had again landed him in hot water, but once more he wasn’t charged. 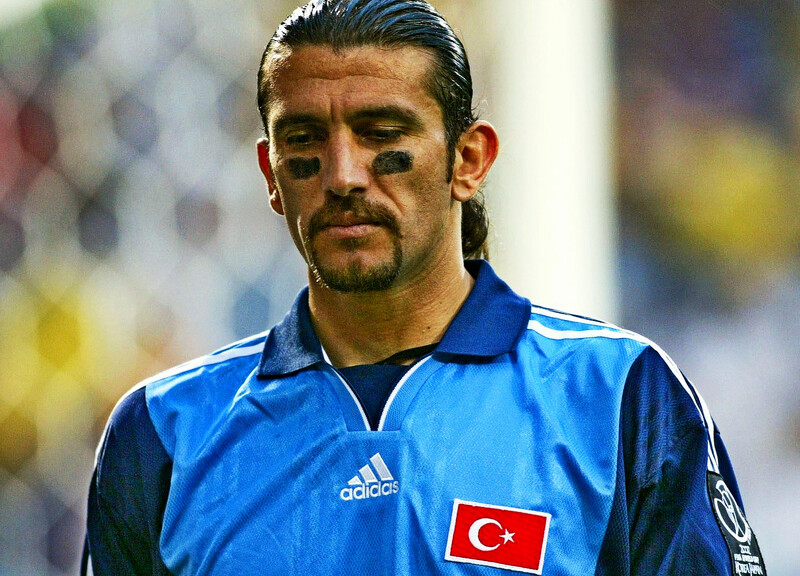 He’s now working as the sporting director at Adana Demirspor.